Entrepreneurs are recognising that there is a more enlightened way to work. One that inspires and sustains them and enables their business to truly thrive. The Empowered Entrepreneur sets you firmly on the path to a thriving business. Through a powerful process, based on decades of experience, Elizabeth Cairns takes you on an inspiring and emancipating journey of professional mastery. You will explore the many facets of running a successful business in a way that helps you put your talents, passion, vitality and creativity at the heart of everything you do. By showing you how to make congruent, confident decisions for your work, curate your workload, manage your process, say no with grace and much more besides, this book will help you take back the power in your life and the control of your business. Supporting you to overcome procrastination, battle overwhelm, create space and manage your time are just some of the ways this book liberates you from what’s getting in your way, and shows you how to work with greater efficiency, and ease. This is business as it’s meant to be; inspired, creative, passionate, powerful and purposeful. Empowered. Writing The Empowered Entrepreneur was the easy part, but if I wanted it to be worthy of my discerning and style conscious audience I knew I needed to draft in the dream team to bring it to life. First in that team was Fiona Humberstone, The Brand Stylist, the only person I could imagine doing the creative direction justice. Her incredible vision, thorough understanding of my brand, and our shared love of inspiring and empowering entrepreneurs were just a few of the things that made Fiona as my choice of book designer and stylist a total no brainer. Fiona has done incredible work on pulling together the creative direction for the book and executing it into something beautiful and worthy of any entrepreneurial coffee table. I’m looking forward to sharing more about our process over on the blog. For the book to be the inspiring feast for the senses Fiona and I hoped it would be, we knew it needed to feature an abundance of beautiful photography. We knew it was important to invest in professional photography and a styled shoot, directed by Fiona and shot by the lovely Cathy Pyle gave us some stunning images to weave into the design. Cathy is so lovely to work with and brings a quiet calm both with her presence and her beautiful work. Katie Spicer so kindly stepped out of maternity leave for us to shoot the cover and work her photographic mojo. With Fiona working her styling magic again, I’m so thrilled with what Katie has captured. We were delighted and grateful to include more of her beautiful work within the book too. Cecelina Tornberg creates beautiful wedding and event photography and is a utter joy to work with. I’m definitely happier behind the camera than in front of it, but Cecelina instantly puts me at ease and has an incredible eye for light and form. I was delighted when Fiona surprised me by including in the book some of the shots Cecelina had taken of me at The Brand Stylist Retreat in May. I’m so grateful to Cecelina for allowing her work to be part of this book. I feel so lucky to know so many amazing photographers whose images I admire. There is one who’s work has captivated me for a long time and who’s aesthetic I can spot at 50 paces, her style is so distinctive. There’s something about the work of Annie Spratt that speaks to the wild woman in me and captures the essence of a place like no other. I am so grateful to be able to call Annie my friend and humbled to have her awesome work in my book. Gail Jones, completing the dream team. I commissioned the lovely and stunningly talented Gail Jones of Starkeys Lane to do a series of illustrations to feature in the book. Many of the illustrations are of the Bach Flower Essences, which, if you haven't come across them, are a wonderful tool for developing personal awareness and emotional healing. I have long been a fan of Gail's artwork and many of the remedies relate to key themes in the book, so it was natural that we would include them. Gail has produced exquisite work and I'm so delighted. 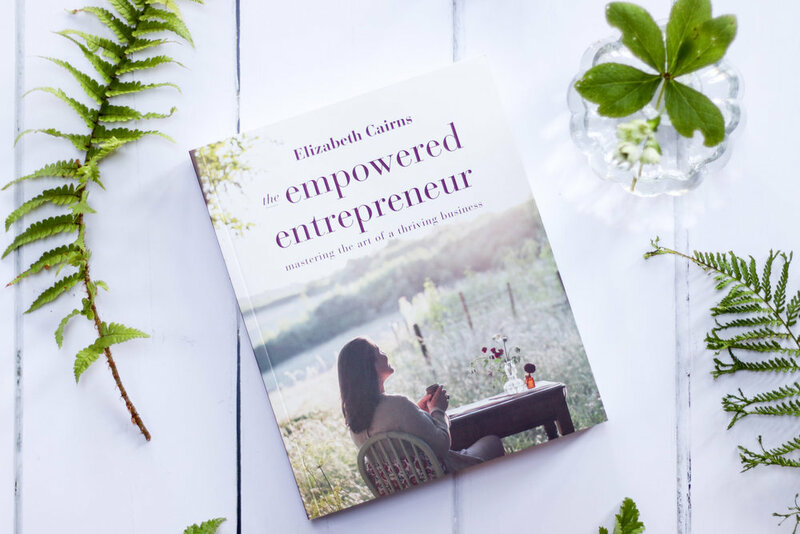 If you would like to make your experience of The Empowered Entrepreneur that little bit more special then the gift set is the perfect accompaniment to the book. A signed and dedicated copy of The Empowered Entrepreneur. 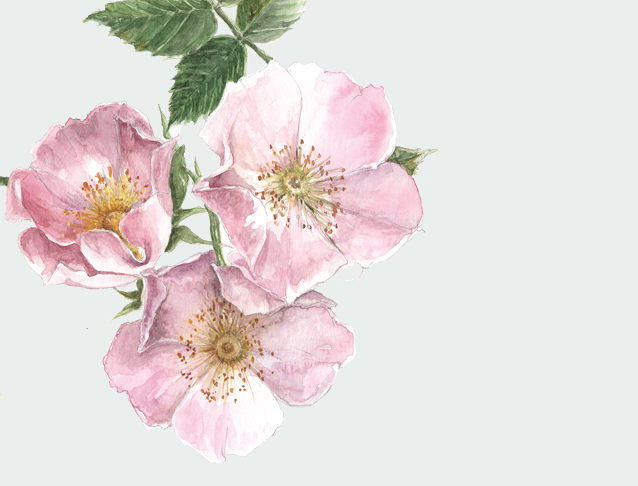 An A4 limited edition print of the wild rose watercolour illustration signed by Gail Jones. A hand poured, pure essential oil, bergamot Clarity Meditation Candle specifically commissioned to accompany the book. The Bach Flower Essence of Elm, perfect for supporting you through overwhelm. An Empowered Entrepreneur Journal and a fairtrade cotton tote bag. All delivered in planet friendly packaging. It has been such a pleasure to collaborate with Leanna at Pure Thoughts to create a limited edition Clarity Meditation Candle. I asked Leanna to use bergamot, which is not only a beautiful citrus slightly spicy scent that clears room odours but a deeply soothing oil known to enhance feelings of joy energy and clarity. I find it induces a deeply tranquil yet alert state for meditation and is perfect for creating that space to begin your creative working day. This beautiful hand poured, vegan, GMM free, pure essential oil candle will be included with every special edition gift set pre- order of the book. Beautifully printed on recycled stock, featuring another of Gail’s illustrations and with both lined and blank pages, the Empowered Entrepreneur Journal is a beautiful space to capture inspiration and explore ideas and is included with every set. I'm delighted to include a limited edition A4 print of the Wild Rose Illustration from the book signed by Gail, with all gift sets . Gail’s watercolours are exquisitely delicate and capture so clearly the expression and life of the plant. Each illustration is hours of careful work and printed on watercolour paper to best portray their life and vibrancy. Thank you so much for your interest in The Empowered Entrepreneur. You can order your signed copy of the book via the link below just let me know who you’d like it made out to in the posting details. I aim to post copies out by the next working day after order and they are sent royal mail first class. I really hope you enjoy the book. If you love it, i’d be so grateful if you would leave a review on Amazon.com. It really does support us indie authors. Thank you so much!